There's quite a nice treat in store for Miamians tonight, that is if you're keen in the know of Tuesday's best places to catch gigs that will have you wondering why you have work in the morning. 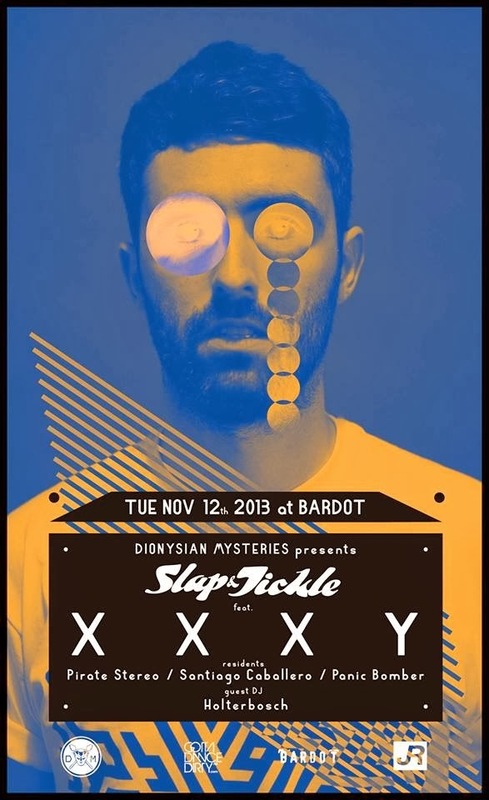 Tonight, multi-talented London based modern garage, tech-house producer XXXY will grace Slap & Tickle at Bardot with a comprehensive live set of his productions that will surely provide you with enough of a kick-burst of energy to sail you through the rest of your week. Being that XXXY was named the fourth-best DJ in the world in 2012 by Red Bull Music Academy you can be almost positive he'll also trail into a DJ set of some ridiculous caliber, serving up a combo meal of a performance. Tonight's event is also a FREE SHOW. The only drawback will be that you won't have the slightest idea of what you'll be missing if you're not there. See everyone tonight on the carpet at The Slap.